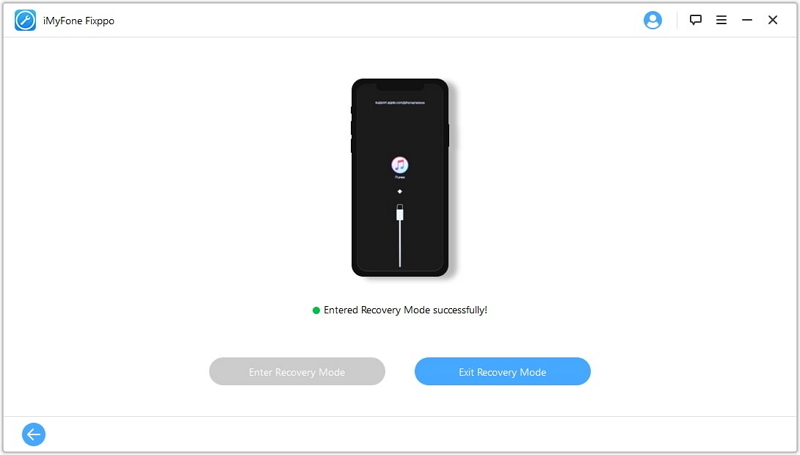 Commonly, many people opt for “Restore in the Recovery Mode” technique for fixing their iPhone X issues. As an iPhone user, you need to have a proper understanding of recovery mode. The restore process plays a major role in recovery mode. Apple releases Recovery Mode for iOS platform for preventing iPhone from various damages. The name of iPhone X’s bootloader is known as iBoot. It is used for scanning, checking and also searching for the errors. In any instance, if there is anything wrong with the upgrade of iPhone, your device will automatically enter recovery mode for loading iBoot. There are many situations in that people may put their iPhone X to Recovery Mode and few of them are given below. The OS restore or update process fails. 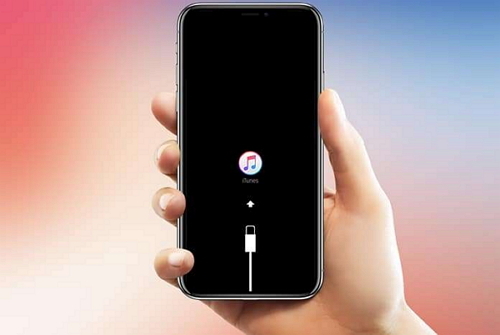 The iPhone X is unfortunately stuck in a non-stop restart loop. The first step for every iPhone X user is to enter recovery mode. It is ideal for users who are experiencing any one of the above-mentioned problems. This procedure also aids you in restoring the iPhone X. Ensure that the iPhone X has a full charge. Ensure that you have new iTunes versions successfully installed on PC/Mac. 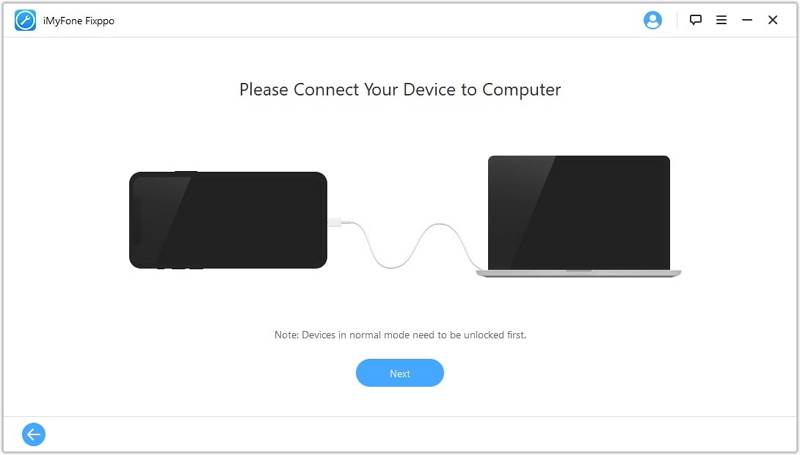 Connect the iPhone to PC/Mac. After that, you can launch iTunes. The next step is to force restart iPhone X by clicking on home and power buttons at a time continuously until you see Apple logo on the screen. Now, you need to release your power button and keep holding the home button. Once you find cable signs and iTunes on your screen, you can release the home button. Finally, you can enter recovery mode. The hardware problems may happen when you drop the iPhone X in your swimming pool. When it comes to software problems, they can cause the iPhone X display stuck on join with iTunes logo. It is pleasing news for iPhone X users that they are not hugely vulnerable to malfunctions and errors. Some users experience ‘iPhone X Stuck in Recovery Mode’ problem which may happen at certain instances due to software problems, hardware damage of improper user. This section covers different ways to address this problem and enjoy the outstanding performance of your iPhone X again. When you fail to perform the 2nd recovery mode restore, you can simply prefer DFU Mode process. It is the highly preferred system restore mode ideal for even iPhone X. The main function of this restore mode is to put your iPhone X in a position where iPhone X is capable of communicating with the iTunes on your computer. In this process, there is no need for activation of a bootloader. It increases the possibilities of fixing your iPhone X when your operating system is completely damaged. It is significant to know that this restore mode ensures that you get the iPhone X successfully back up and smoothly running afterward. When you decide to try this restore mode, you can look at the following guidelines. The first step is to connect iPhone X to a computer by using lighting cable or USB cable. You can open iTunes on the computer once connected successfully. Once the display turns black, press and grasp volume down key while keep grasping down the Power key. Release Power button after five seconds but keep grasping down volume down key until you see iTunes on iPhone X. Now, release the volume down key. Finally, follow your onscreen guidelines for restoring iPhone X. If this mode does not work well, you can go for alternative methods. Exclusive technology: Fix almost all the issues that affects your iPhone system, such as white/black screen, iPhone is stuck in Recovery/DFU mode, stuck on Apple log, etc. 100% secure to use: No data will get lost after the fixing process. 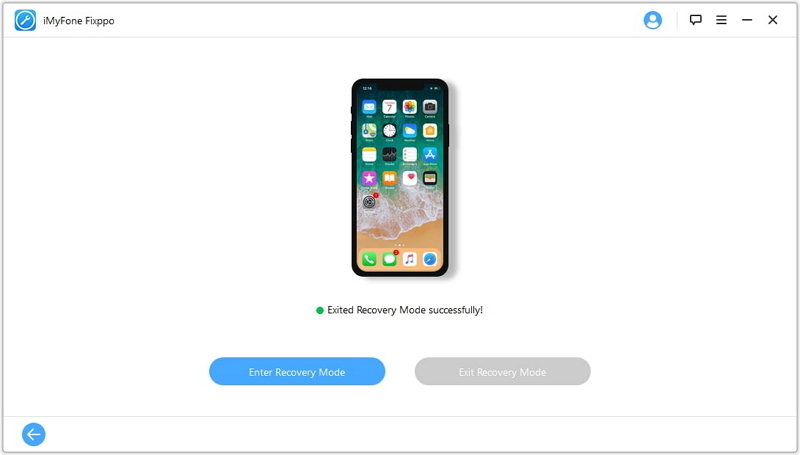 User-friendly interface: Easily exit your iPhone X out of recover mode or fix other iPhone issues in only 3 steps with the process guidance. Here are the steps to exit iPhone X out of recovery mode with Fixppo. You can use this feature when your home button of iPhone X is broken. Step 1. Download iMyFone Fixppo on your computer, launch it and select ‘Enter/Exit Recover mode’. Step 2. 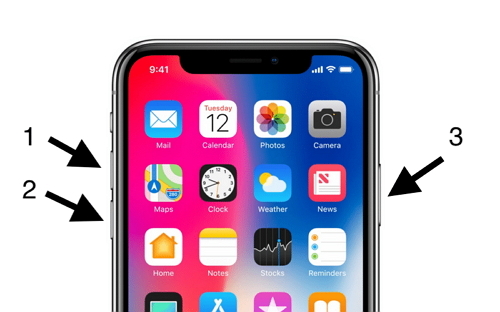 Connect your iPhone X to computer and click on the Next button to proceed. Step 3. In this step, you will see the program below the screen. You will also find the button of Exit Recovery Mode is clickable. You can simply enable it. Step 4. Once the process completed, iPhone X will restart immediately. If this method is not working properly, you can try other methods. If you look for a simple solution to resolve the iPhone X problem, you can also try TinyUmbrella. The following steps help you fix your iPhone X stick in the recovery mode. Step 1. Visit the official website of TinyUmbrella to download it for either your Windows or Mac systems. Step 2. Launch it on a computer and connect iPhone X to it. Step 3. Wait for a few minutes until TinyUmbrella detects your iPhone X automatically. Step 4. Once the iPhone X is detected successfully, you can click on “Exit Recovery” option from an interface. This post shares you different methods to solve your iPhone X problems. If you want to keep your data safe, you can simply opt for iMyFone Fixppo which will aid you in fixing the problems without any data loss.